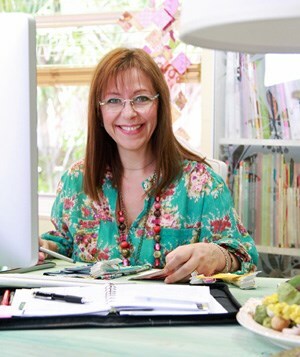 Pat Bravo is a self-taught quilter and fabric designer that truly appreciates and loves quilting. “For me, a sewing machine is everything… At the age of nine, I sat down for the first time before my mom’s sewing machine and was hooked.” She finds designing and quilting inspiration throughout everything that surrounds her. 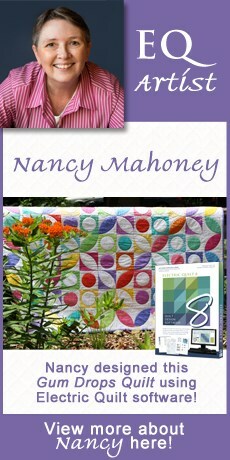 She is currently one of the designers at Art Gallery Fabrics and her work was featured in American Patchwork and Quilting, Modern Patchwork, Generation Q to name a few. Pat is no stranger to the Electric Quilt family, her collection “Etno” was featured in the EQ Stash Spring 2015 Collection. She lives in sunny Miami, Florida with her husband and son.